STRUMIS Middle East team will be showcasing its products at SteelFab in Sharjah, UAE, considered a "must visit show” by anyone engaged in the steel fabrication industry. SteelFab 2016 is in its 12th year and is the largest display of steel fabrication machinery and associated engineering products in the Middle East. 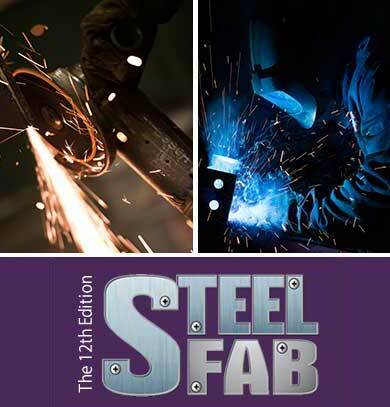 SteelFab is considered a "must visit” by anyone engaged in the steel fabrication industry. SteelFab has succeeded in taking advantage of a growing economy and the euphoria surrounding the winning bid to host the World Expo 2020 in Dubai, UAE; not only providing attendees with the opportunity to find out about advanced steelwork solutions, it also delivers knowledge about the latest trends in the steelwork industry through an associated range of practical seminars. SteelFab 2016 offers those in the Steel Fabrication Industry an opportunity to be part of this booming market and exciting growth story. Whilst at SteelFab, ensure you visit STRUMIS at stand number 182, Hall 4; the STRUMIS Middle East team will be showcasing the STRUMIS Steel Fabrication Software for larger and medium sized steelwork contractors, together with Essentials by STRUMIS solution for smaller fabrication shops. The STRUMIS team of engineers and experts will be holding a series of FREE short, informative software demonstrations; providing in-depth insight and solutions for highly effective and profitable structural steel fabrication management. The STRUMIS team will reveal how STRUMIS Steel Fabrication Software pays for itself within the financial year. Stop at the stand to see for yourself just how much STRUMIS could save your Steel Fabrication business. To get a programme of the demonstrations, or to request a one-to-one meeting simply register your interest by emailing marketing@strumis.com with the reference SteelFab 2016 demo. SteelFab 2016 are hosting an extensive line-up of seminars that will be a must-visit for industry professionals. While seminars will take up key topics, technical presentations will serve as an interactive session in order to share views on the industries’ needs and preferences. Seminars will combine with the "live" demonstrations of Machinery & Equipment to make your experience at SteelFab an eye-opener on the latest Technology in Steel Fabrication & Metal-Manufacturing. An Expert Engineer from STRUMIS will be delivering a short informative session on Software Applications for Steel Fabrication. Revealing how advanced software technology can re-energise and reinvent the Steel Fabrication Industry to ensure that all sizes of Steel Fabrication Businesses can offer maximum efficiencies; the presentation will demonstrate how cutting edge software products can deliver centralised control and project insight for the most profitable management of steelwork fabrication. This technical seminar is FREE to all attendees of SteelFab 2016 – subject to availability. Or visit the STRUMIS Stand, stand number 182, Hall 4, for details. STRUMIS and the Middle East Team look forward to seeing you at SteelFab 2016 for yet another successful show.